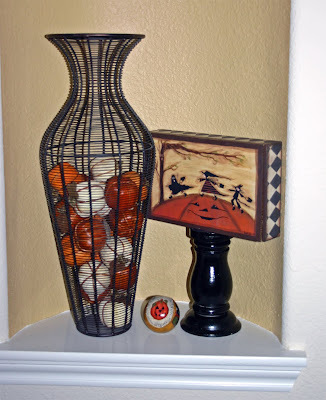 A wire basket with miniature pumpkins, a handpainted cigar box and a handpainted baseball. 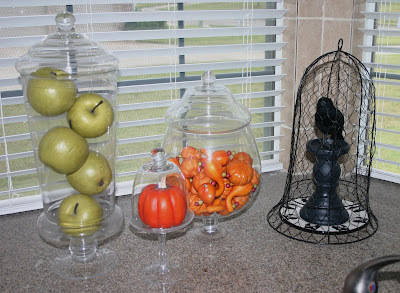 The kitchen window with a caged crow sittin' on a pedastal on top of an owl-rimmed plate, and some apples and pumpkins. 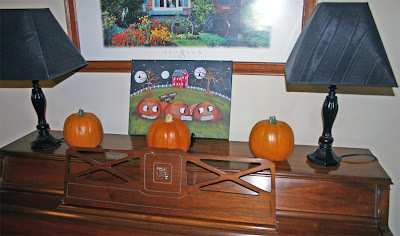 Keeping it simple for the piano in the family room ... a handpainted canvas and 3 faux pumpkins. 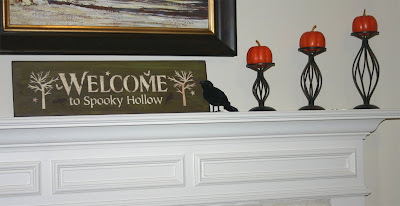 The mantle display shows off a handpainted sign, a black crow and 3 pumpkins on candlesticks. 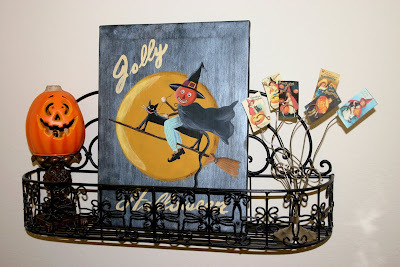 A wrought iron shelf is home to another handpainted canvas, a pumpkin that lights up, and a silver wire photo holder with images of vintage Halloween postcards. 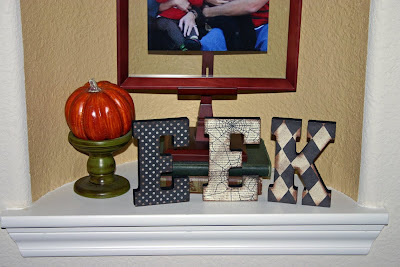 Thanks for takin' a peek! 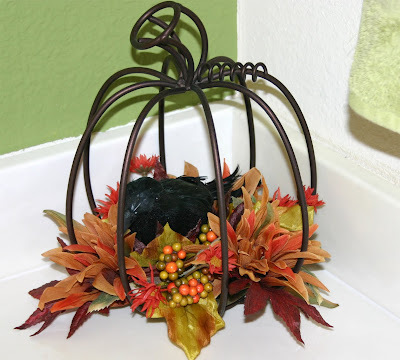 See ya next time!